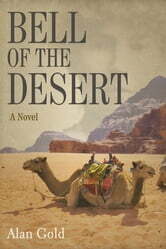 This historical novel offers an “imaginative chronicle of an extraordinary woman” whose exploits across the Middle East helped create modern-day Iraq (Kirkus Reviews). A brilliant academic, mountaineer, explorer, linguist, politician, and towering literary figure, Gertrude Bell is the most significant unsung heroine of the twentieth century. She was the most celebrated adventurer of her day—the brains behind Lawrence of Arabia, an adviser to kings and desert sheikhs, and the British government’s secret weapon in World War I in the campaign against the Turks. 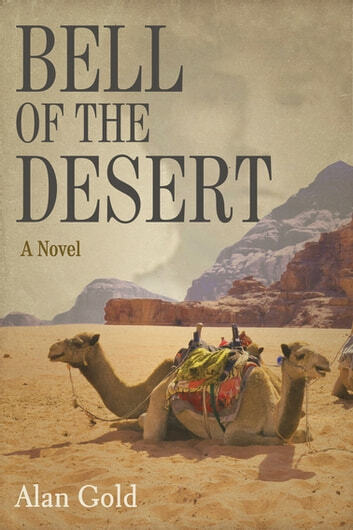 Told as a biographical narrative, Alan Gold’s Bell of the Desert is a meticulously researched novel that accurately recounts the ways Bell broke the mold of Victorian womanhood socially, intellectually, and physically. Her adventures across the Middle East, her influence on the men at the vanguard of history, and her unparalleled skill in guiding the diplomatic paths of the English, French, and Arab allies of the region all lead to perhaps her greatest achievement—single-handedly creating today’s Iraq. Experience the harrowing story of this extraordinary woman who most determinedly fashioned the Arab world as we know it today.